We rearranged the furniture in our main room… which is right off the kitchen and holds both our dining nook and our living room space. Where there was once a wide open middle of the room with couches, chairs and other furniture pushed up against the wall… we moved the sofa to section the room off into two more intimate spaces. They now somehow feel more spacious, and I’m completely delighted by this room now. We’ve been slowly plodding through this book, Apartment Therapy. The book divides your home up into a room for each week. What’s cool about it though, is that it doesn’t just work with clearing clutter, but focuses on things that will bring heart into your home (like buying fresh flowers, or cooking a meal at home). What with the little one, working weekends, and trips out of town, it’s taking us a bit longer than the prescribed eight weeks. But it’s been such a helpful way of approaching our home (which has imploded since we became parents). It feels amazing to be Clearing Space and make it feel more like a home than a landing pad for our stuff. 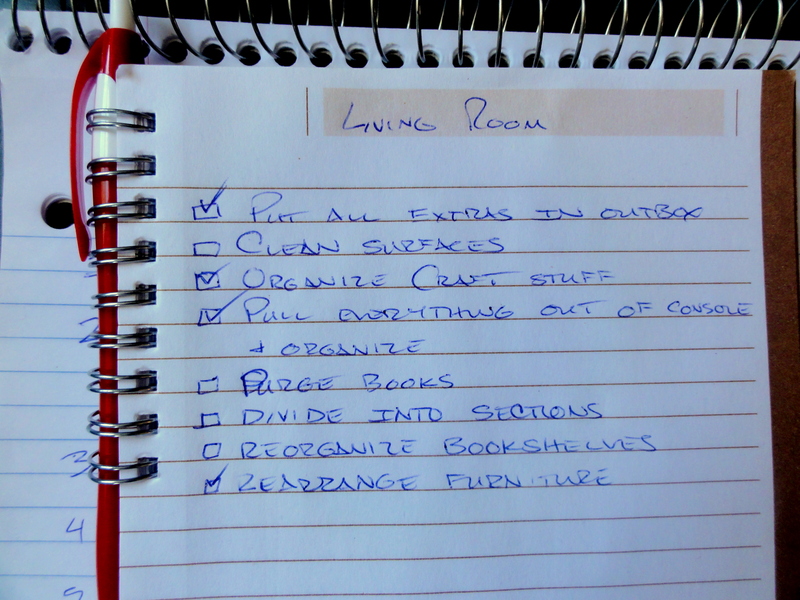 There weren’t as specific directions for the living room as there have been for other rooms, so I made my own list. The bookshelves have yet to be tackled, as the unchecked boxes show, but I picked out a few books to pass on to new readers. If anyone wants them, let me know and I will mail them to you. I have such a hard time getting rid of books, but they sometimes threaten to take over my house. I feel much better knowing they’re going to someone who will use them. This book, Detox For Life, takes you through a process of detoxing your mind, body, relationships and home. It’s originally a sale Anthropologie find, so it’s filled with yummy pictures, and a really great thoughtful approach to making space to really nourish those areas of your life. UPDATE: The way to enter this giveaway is to leave a comment on this post saying which book you’d like. If more than one person requests a certain book, I’ll choose one person randomly using a random.org widget. If a book goes unrequested, then on to Paperback Swap it goes. This giveaway will close Friday, April 6th, and the winners will be announced and contacted before the end of that weekend. Thanks for entering! Winners are being contacted via email. 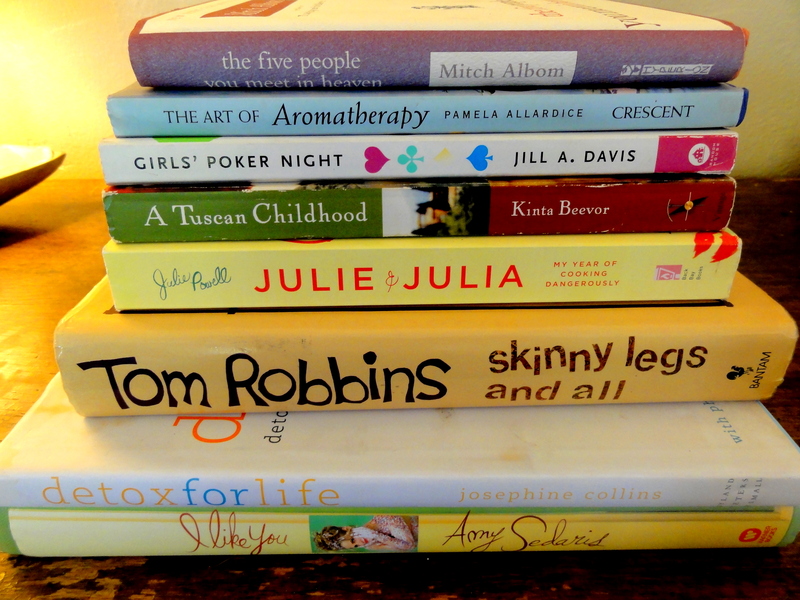 Looks like Julie & Julia, The Art of Aromatherapy, and A Tuscan Childhood are headed for paperbackswap, unless there are anymore requests. 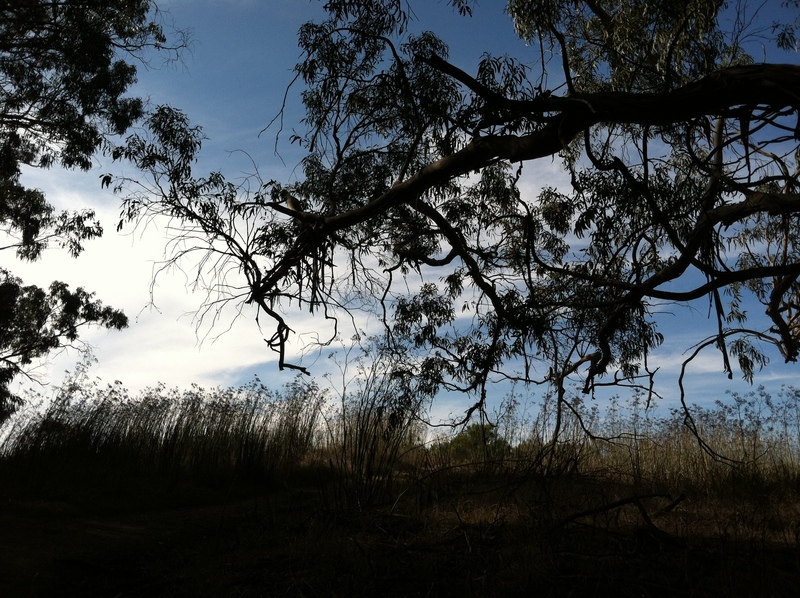 It happens on occasion… this desire to clear away the clutter. Weed out the unused and the stagnant. To clear out anything that isn’t nourishing, supporting, inspiring. I’m talking about stuff, of course. But I’m also talking about food. Thoughts. Activities and habits. Anything in my realm that’s occupying time, energy, space, cells. All those things… my time, my energy, my space, every molecule that makes up my body and that of those around me… are just feeling really precious to me right now. And the urge to preserve their integrity is so strong right now. I want to clear through everything in my house, our yard, the car, my computer. My fridge, and my eating habits. I want to spend time and energy only on those things that make my loved ones and I feel brilliant and staggeringly beautiful, strong and so powerfully at ease. I want our life to support the healthy tension between choice and flow. I don’t know if it’s because Spring is coming up quickly? I find that I’ve grown more sensitive to the changing of seasons as the years go by. Or if it’s a side effect of this new way of eating I’ve been diving into over the past couple weeks… I think the almost dizzying effects of eating real food is starting to set in. I’m not sure what the cause is… but this is where I am now. And why I’ve been a little absent from this space, perhaps. I’m trying to rediscover the areas where I want to remain devoted to. And redistribute a little, so that my actions are more intentional than habitual.